Last summer (August 2018) Olympia was notified that we did NOT receive a Preschool for All Grant from the State of Illinois. After two decades of having a Preschool program that has been funded by the State, and receiving positive feedback from the State regarding the structure and quality of our program, our grant renewal application was not approved. Therefore, the cost of running the program for the 2018-2019 school year was paid out of local district funds as opposed to the previously provided State grant dollars. The competitive grant cycle is a five year cycle, so unless current legislation changes, Olympia will not be able to apply for another Preschool for All grant until Fall of 2023.
continue to offer this service to the community but without the State funding, there is no way to continue our current model in which the program was offered to parents/ families free of charge. ● Students that qualify for free or reduced fees will not be charged for the Preschool Program. Federal guidelines are updated July 1st of each year and can be found on the Olympia website, search for ‘Free and Reduced’, or contact the District Office at 309.379.6011. for assistance. spot into the program based on need and number of students applying. ● Preschool classrooms will be capped at 20 students and the class will be taught by a licensed Early Learning Teacher. ○ Morning Sessions - 8:00 a.m. - 10:45 a.m.
○ Afternoon Session - 11:45 - 2:25 p.m.
● Bussing will be provided for students that reside more than 1.5 miles from the school where the program is being offered. Bussing will also be provided to and from major daycare centers. ● Families may choose to pay weekly, monthly or quarterly. Arrangements will be made with the school for fee collection. ● Families that do not consistently pay their Preschool fees will be notified and their child may be removed from the program. 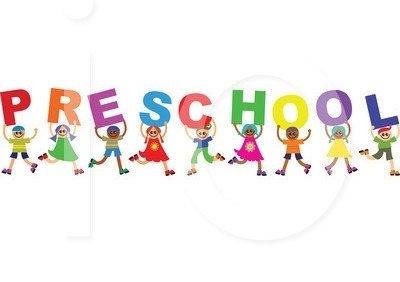 Notify school by April 1st if you plan to attend Fall 2019 (for students that will not be 5 years old by September 1st and that are currently in the Preschool program). Notifying the school will result in your child being considered for the program for fall. However, final placement into the program will occur after the DIAL screenings in May as we will be placing the students with the greatest needs into the program first. Parents will be notified prior to May 24th if their child will have a PreK spot for the 2019-2020 school year. schedule a May DIAL Screening Date by contacting your elementary building. Please contact your child’s respective elementary school with additional questions.